Just About Anything: How Much Do You Know About SERP? I am no SEO expert. In fact, I flinch each time I read or hear this word. It sounds so "Latin" to me that I wouldn't bother having a second look. You might find it funny and weird though, considering that I am running a blog. But I came across a service that has convinced me to give it a second look... and a second thought. It's called SERP Analytics. For the benefit of those who have no idea what SERP means, it stands for Search Engine Results Page. For those of you who are looking to optimize your web sites through increased traffic AND increased profits, this might just be the service that you need. It is initially in Beta mode and registration is FREE. Do you specialize in SEO & SEM? 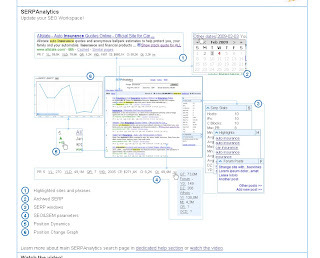 Is analyzing SERP a little bit too complicated for you? 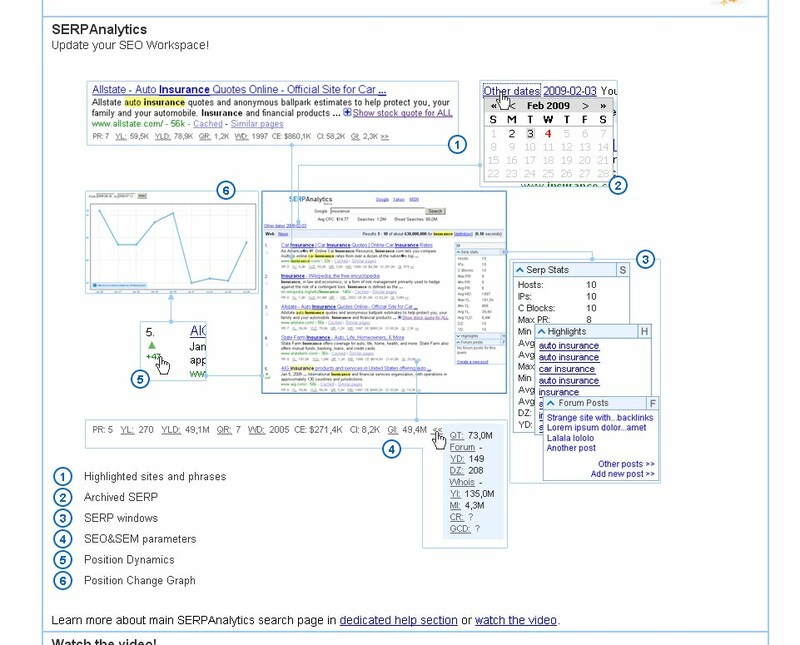 The SERP Analytics environment will provide you with different parameters and data that will make it easier for you to sum it all up: SEO paramaters under search results, show positions changes, archived SERPS, and SERP summary in a special window. 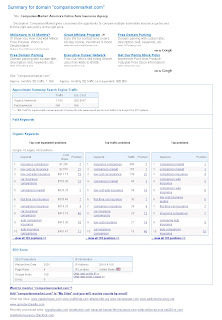 A sample of a domain summary using the IP C-Block 204.9.4. And if you become a member, there are lots of tools available for you such as the reverse IP search. This tool allows you to enter an IP address and find all other sites on this IP, including those of your competitors. 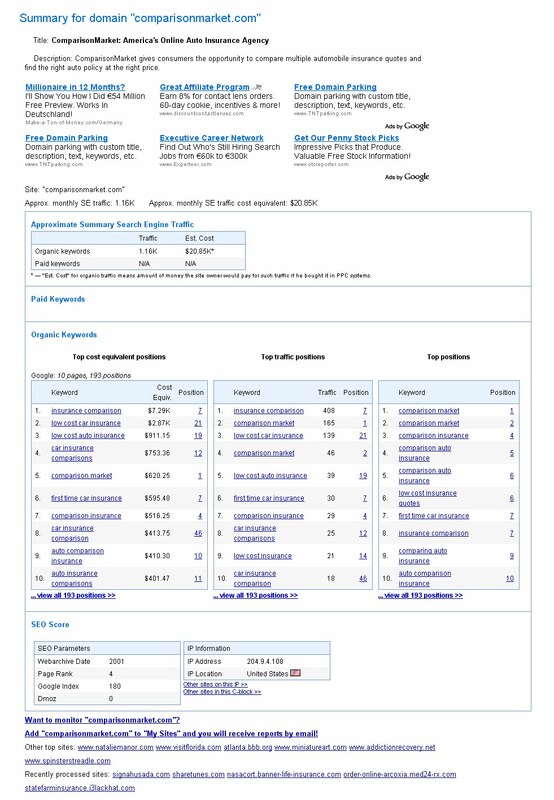 It also has the capability to view the domain summary and the top ranking keywords for a given site. 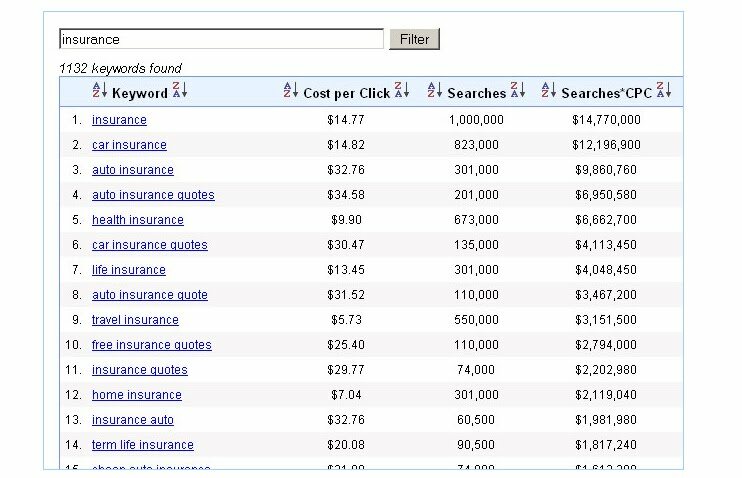 The domain summary shows you the monthly traffic, approximate cost equivalent, top paid and organic keywords, and SEO score. These data you can use to create your own strategy in terms of getting the search engines to crawl your sites using relevant keywords. Find the most popular keywords here! Filter to show only the keywords you want. 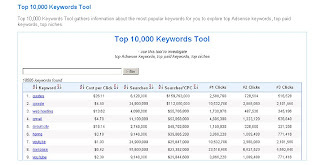 The Free Top 10000 keyword tool gathers the most popular keywords. 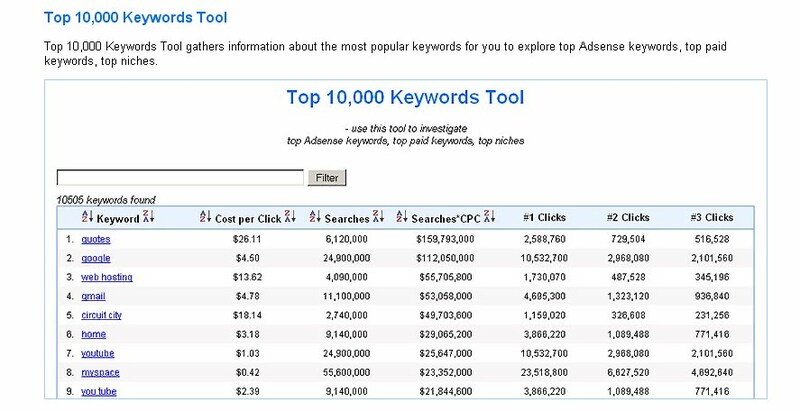 If you are running AdSense or paid keywords on your sites, this tool allows you to explore the many possibilities or even redesign your web site to cater to these niches. 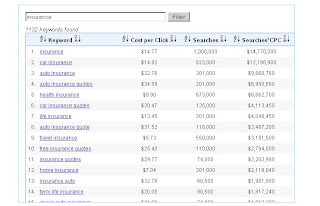 Containing top keywords from paid keywords, search keywords and keywords ranked on searches / CPC, this tool also shows the keyword properties, allows the user to sort keywords by parameters and also has a filter capability to show only the keywords you are interested in. 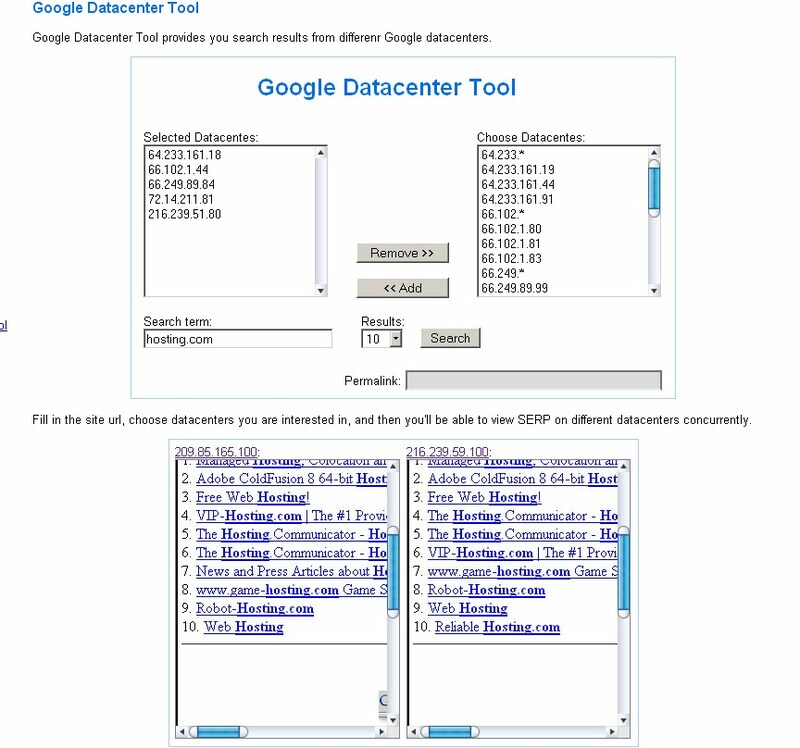 The Google Datacenter Tool... just key in the site URL and you're good to go! Merged scrolling feature allows for simultaneous SERP windows viewing. 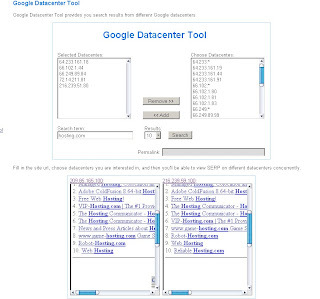 The Google Datacenter Tool on the other hand provides you with search results from different Google Datacenters. It is very easy to use. You simply type in the site URL that you want to search, key in the number of results you want, choose the datacenters you are interested in and then voila, you can view the SERP on different datacenters concurrently. This tool also has a "merged scrolling" feature that allows you to scroll the SERP windows at the same time. Easy peasy to use eh? So why not give this service a try? Register for FREE and you are on your way to making your web site more profitable and gaining more traffic too! To be honest di ko pa binasa ng maayos ang post, information overload! But this tool is bound to be useful. I'm just afraid that I won't really use it even after I sign up. Thanks for the info though!